My name is Chinyere Ihuegbu. I studied Biochemistry and I am still learning about biochemistry. I chose this facinating discipline because I was interested in knowing how the body works – from little malfunctions that cause a disease to creating therapeutic solutions in to remedy biochemical abnormalities. During my undergraduate program I also picked an interest in computer programming, not the Fortran my friends in engineering were being taught but in the language called Python. Initially I thought that the fields of biochemistry and computer programming were immiscible but with time I came to the realisation that in our 21st century, these fields are now inseparable. The She Hacks Africa coding workshop was referred to me by a dear friend. He sent me the flyer encouraging me to apply as it was free. I did apply and thankfully I got in. Words cannot articulate how much I have gained from this coding workshop. It has been more than an exciting and a priceless experience. Personal objectives made and written at the the start of the workshop were not just met, but were met at a deeper level. I have not just acquired another certificate but more importantly, skills and experience that would always be necessary tools in building my career. I have not just expanded my network but have made friends who are unique in their own beauty. Indeed every bus chased after and jumped upon, every sleepless hour sitting down to learn and write codes in creating something useful and beautiful were worth the cost. 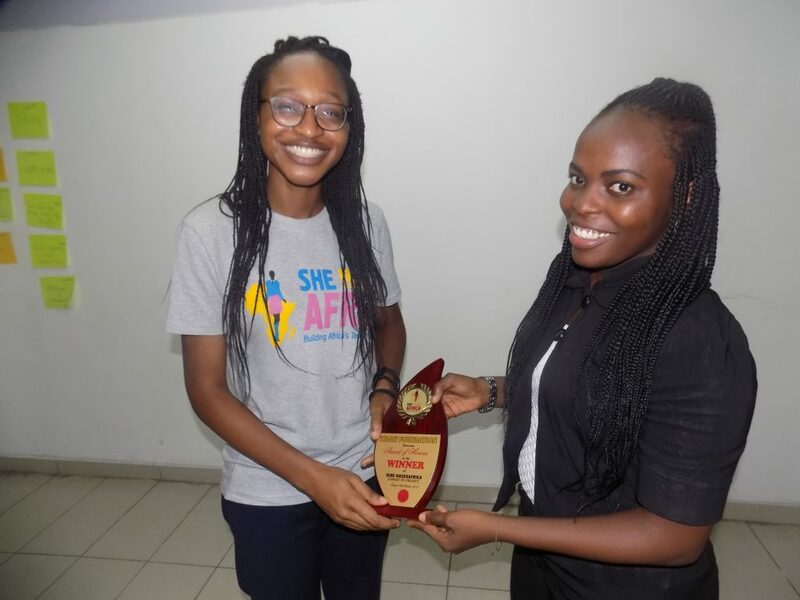 I say a big thank you to She Hacks Africa for this opportunity and partners – Andela, Leap Africa and Oracle. A big thank you to my facilitators and teachers – Ms Tolu, Miss Susan, Mr Jonah and Mr Dapo, for going above the call of duty. A big thank you to my wonderful co-programmers who made learning fun. And a very big thank you to God Almighty for giving us all the opportunity to participate in a workshop like this where I’m sure the careers of myself and colleagues of mine have received huge defining points. We can begin to expect the next ‘Facebook’ CEO or the Founders of an App that would solve the Girl marginalization problem to be one of us seated in this room. So, anyone shouldn’t be caught by surprise when this is happening and we’d all agree that it started at the She Hacks Code Workshop.